Exciting plans have been unveiled by Malvern Hills District Council to give Malvern’s Priory Park play area a £500,000 revamp. Under proposals approved at an Executive Committee meeting on Tuesday (12 February) the current park, which is more than 20-years-old, will be replaced with a modern design. New features would include playable water fountains with interactive features, a swing, slide, trampoline, balancing equipment and climbing structures amongst other things. There will also be boulders and timber seating to give the play area a more natural feel so it fits better with the surrounding park. Improving the play area is one of the council’s commitments in its Five Year Plan and supports its priority to encourage people to be more active. In 2016 more than 440 people responded to a public consultation on the future of the play area with a third rating it as poor to very poor and two thirds branding it too small. The top features people wanted to see in a new play area were water play, swings, a climbing frame and a climbing wall. The council is in the process of appointing a company to carry out the work which it is hoped could get underway as early as next month and be complete in time for the school summer holidays. 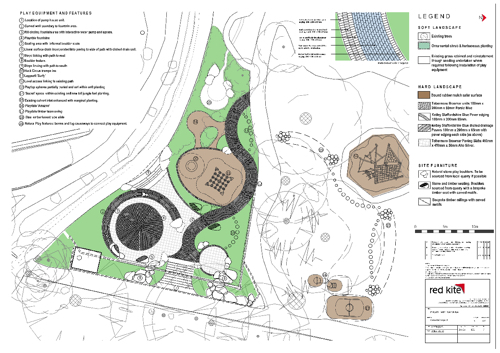 Cllr David Chambers, Leader of Malvern Hills District Council, said: “The public gave us a very clear vision for the future of the play area and we’ve listened and come up with an exciting design that delivers on their wishes.